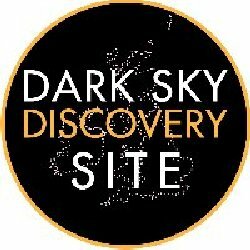 What a fabulous week we have had for Dark Skies. For once everything seemed to come together this week. We had a new moon which made the night sky really dark. But who needs the moon when Jupiter is dazzling the night sky. We had some clear nights which meant spectacular viewing. This all coincided with the Geminid meteor shower. I was lucky enough to see some of the streaks in the night sky on Tuesday and Wednesday but sadly we had a cloudy sky when they were at their height the following night. I am told that Venus was also spectacular this week but you had to get up at 6 am for that experience!! !